From the author who “wraps mystery, action, myth, and deceit into one page turner of a book? (Nerd Reactor) comesÂ Battle for Rome.Â War is on the horizon for the Roman Empire, and only Maxentius, tyrant of Rome, stands between the emperor Constantine and supreme power in the west. 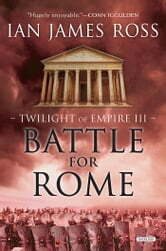 Aurelius Castus is now a tribune in Constantine’s army. But this great honor brings new challenges, and Castus is tormented by suspicions that his young wife has been unfaithful. As Constantine becomes increasingly devoted to Christianity, he is forced to ask himself whether he is following the wrong man. 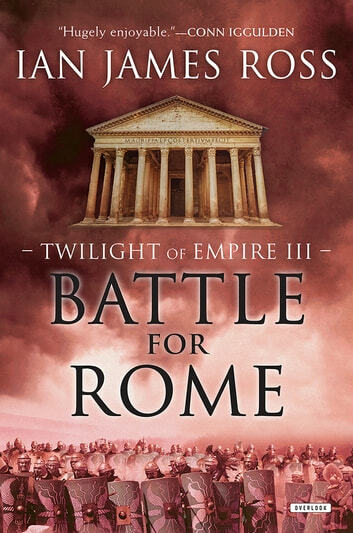 The approaching war will decide the fate of the empire, but Castus’s own battle will carry him much further—into the shadowy realms of treachery at the heart of Rome itself.